RODRIGUEZ LIVE FIRE COMPLEX, South Korea -- Soldiers from the 2nd Infantry Division/Republic of Korea-U.S. 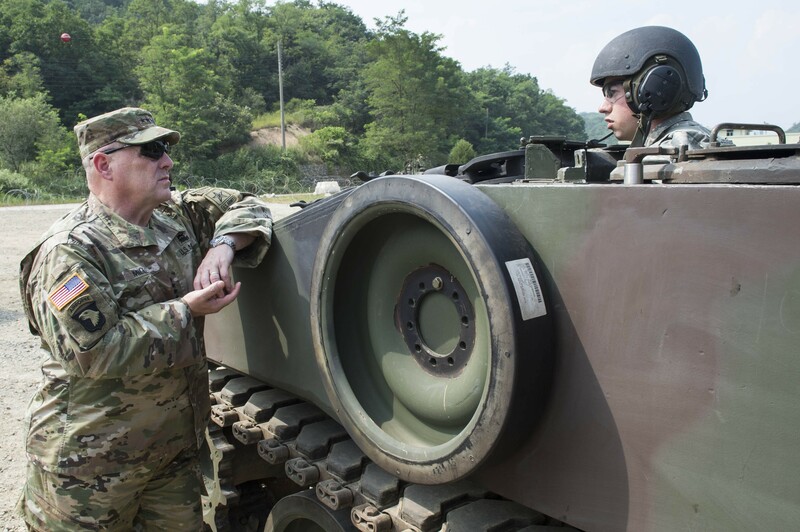 Combined Division highlighted their unit's capabilities for Gen. Mark A. Milley, the U.S. Army Chief of Staff, during his visit to Camp Humphreys and the Rodriguez Live Fire Complex. In his remarks that day, Thursday, Aug. 18, Milley emphasized the combined division's crucial role in maintaining the stability of the region, as well as the mission its Soldiers undertake on a daily basis and the critical role "Fight Tonight" readiness plays on the peninsula. 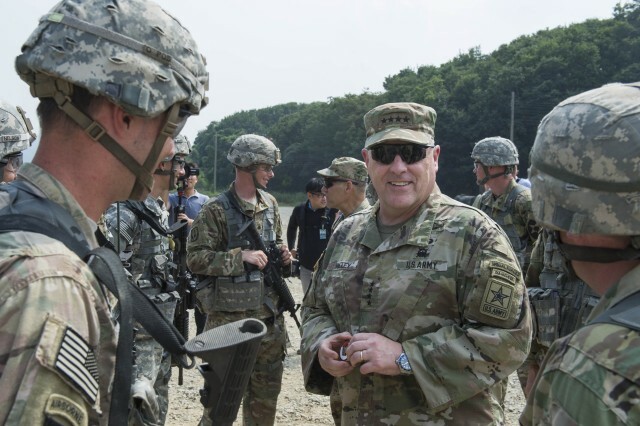 While at Camp Humphreys, Milley met with the division's brigade command teams, had lunch with Soldiers from the 2nd Combat Aviation Brigade, and conducted a quick tour of the installation that will soon be home to the majority of U.S. 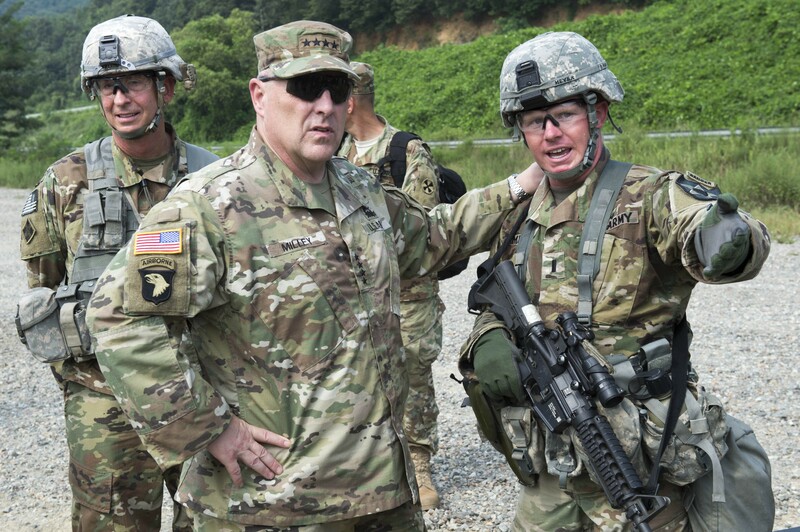 Soldiers on the peninsula thanks to a U.S. and Republic of Korea partnership agreement to increase readiness by relocating U.S. troops south. At the Rodriguez Live Fire Complex, troops from the 210th Field Artillery Brigade, 2nd Combat Aviation Brigade, and rotational Soldiers from the 1st Armored Brigade Combat Team, 1st Calvary Division, discussed their capabilities and shared static displays with Milley. 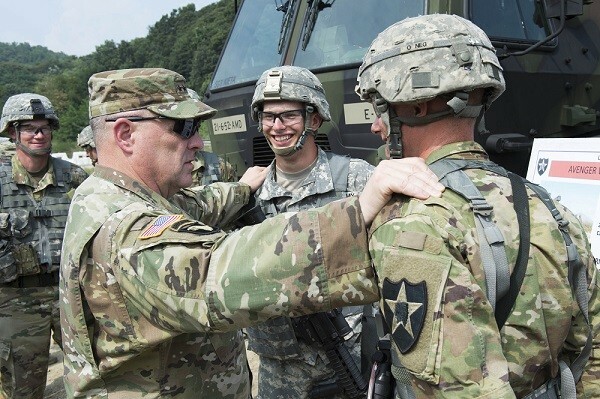 He wrapped up his time at the Rodriguez Live Fire Complex with a motivational talk to the division's senior staff and a discussion about the unit's primary missions, the impact of rotational elements, the combined nature of the division, and the relocation to Humphreys.